Headquartered in Fremont, California, RightCliq Networking has been delivering enterprise-level information technology solutions to small and mid-market companies and non-profit organizations throughout the Bay Area since 2010. We are focused on providing expert advice & personalized service to our clients and creating mutually beneficial long term partnerships. RightCliq’s comprehensive technology-leading solution addresses a key challenge faced by most SMBs today — achieving enterprise grade IT reliability, performance, and security without the enterprise cost. RightCliq strives to align its own business goals with its clients and give them a competitive edge to always be in contact with their end-customers. 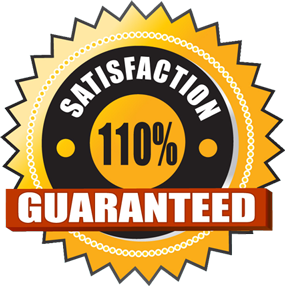 We’ll make sure you are always completely satisfied with RightCliq services. What about the remaining 10%? Well you see, not only won’t you be charged for the original service call, but we’ll give you 10% off your next service request. What a concept, we will hold ourselves accountable to fixing your problem as promised. How can we do this you may ask? You see, we know what you go through, we hire great people that possess three fundamental qualities: Training, Experience, and most importantly, Attitude. RightCliq understood that any improvement to our IT infrastructure could not disrupt sales, that money was tight, and more importantly, they had to bring together IT infrastructure and our business strategy. Our data network is now 10 times faster and more reliable. The new phone system works great and overall IT costs are 20% lower. RightCliq takes the headache out of managing Information Technology systems so you can focus on doing what you’re good at! With over 30 years of experience in the computer industry, Tom has impressive technical and business experience in the computer industry. Tom has a degree in electrical and electronic engineering and started his career working as hardware designer on the F/A-15 radar system at Hughes Aircraft. His experience includes computer design, hardware and software development, international customer service, marketing, sales and corporate program management.